The World Health Day is an initiative of World Health Organisation (WHO), which was taken on 7th of April 1948. The aim was to celebrate this day to bring some awareness about health issues. World Health organisation (WHO) held the First World Health Assembly in year 1948. The WHO organizes international, regional and local events on the Day related to a particular theme. World Health Day is acknowledged by various governments and non-governmental organisations with interests in public health issues, who also organize activities and highlight their support in media reports, such as the Global Health Council. 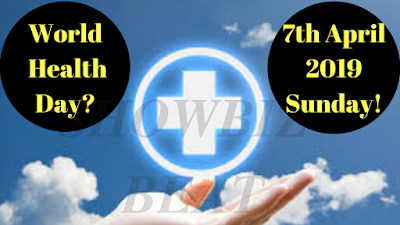 Like all the previous years the World Health Day will also be celebrated on this Sunday 7th of April year 2019. Team Showbiz Beat wish you a healthy life ahead.